Beer, chocolate, waffles, and fries. These are the national delicacies of Belgium, and you better believe that there have been many fights over whose is best, whose came first, and who stole the idea from whom. Frankly, who cares whose came first? What matters is whose is best! While in Belgium I did my fair share of tasting all of the essential food groups and today I bring you the top 5 best places to eat and drink in Brussels. Before heading to Brussels, I had time built in to check out Delirium, the Guinness Book of World Record holder for most beers on tab. While it's a cool claim to fame, it has its down sides. How on earth can you keep 3,000 kegs of beer fresh to the very last drop? The answer? You can't. Rather than hitting up this tourist trap, head to Moeder Lambic. I found Moeder Lambic based on a recommendation, and while there I ran into a craft brewer who told me why Moeder Lambic is so much better than Delirium. First, they just have less on tap which allows them to keep everything fresh. (Don't worry though, at any given time there are more than 50 beers on tap, so you won't go thirsty.) Second, they're true to their craft brewery roots. And who doesn't love supporting the little guys? Unlike at Delirium where you can find lots of big name brands on tap, Moeder Lambic only sells small batch beers to keep things interesting. Fun fact: While I was there, the owner literally turned away a sales rep from InBev. He said, “We're not here to make money, we're here to serve the best beer. You can go to Delirium.” Now, I'm sure they're not hurting for money, but it's still cool that they're not selling out any time soon. Albeit overpriced, sitting down to eat a waffle at Maison Dandoy's tea room cafe is pretty much a bucket list item in Brussels. They have both Liège and Brussels waffles, loads of toppings, and arguably the best batter in town. I'd suggest buying a 1€ Liège waffle anywhere on the street, but the Brussels waffle needs to be eaten properly with a fork and knife on a plate, and if you're going to sit down to eat, it might as well be somewhere great. Know this stop will cost you about 10€ (depending on what toppings you choose), but you only live once, right? Who invented the french fry, the French or the Belgians? Some mysteries of the world will just never be known. But again, who cares who invented it? I care about who has the best. 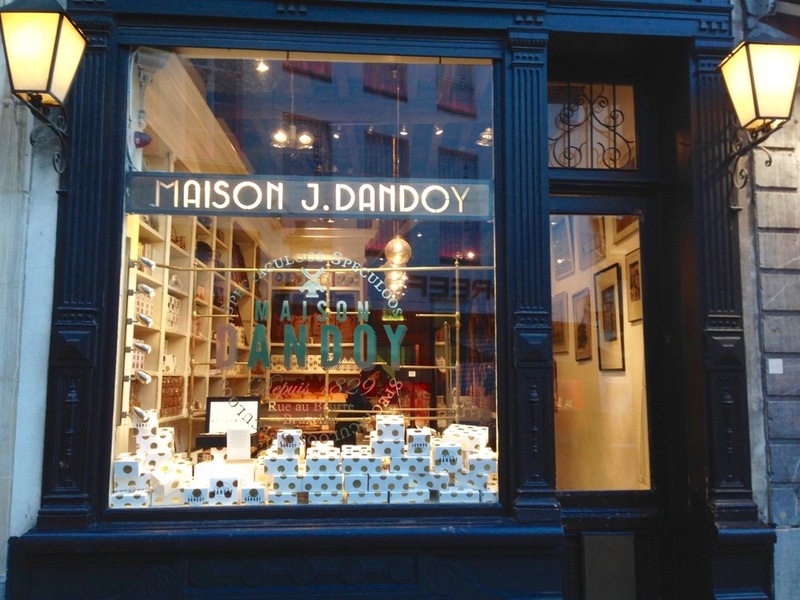 And in Brussels the winner is... Maison Antoine. They also have deals with many of the nearby bars so that their food can be brought in, so if you're looking for piping hot, perfectly crispy (always double fried) french fries and a beer, they've got you covered. Their location is a bit outside of the tourist stretch, but that's probably one reason for its superiority. You can opt to walk there which will take you about 30 minutes or hop on the 1 or 5 metro lines to cut your travel time in half (closest metro stop: Schuman). Tip: Don't choose a sauce based on its title since the taste doesn't always correspond. When you order, let them know what flavors you're looking for and they'll make a recommendation. Or, be a traditionalist and just go with mayo. Alright, I might get lynched for this one because the debate over the best pralines is very, very real, but I choose Neuhaus. This title is bestowed upon this chocolate maker because of his original pralines which have an additional nougat layer under the outer chocolate shell. It's a delicious touch. In reality all of “the best” praline makers in Belgium are very good. The standards for chocolate in the country are simply higher, so you're going to get great quality chocolates anywhere you go. 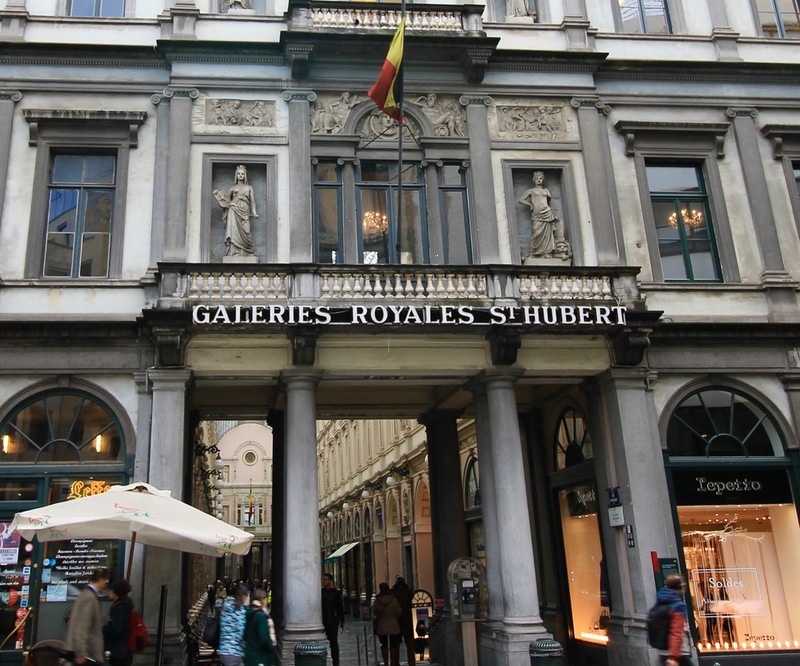 I suggest heading to the Galeries Royales Saint-Hubert just off of Grand Place. Within the gallery you can find shops for most of the top chocolate makers, so look around, find something that sounds delicious, buy it, and never look back. Fork used to be a lunch-only spot, but it's now open for dinner and it is a steal. If you're about ready to be rolled out of Belgium after eating too many waffles, chocolates, and french fries, and you're looking for the perfect place to eat and drink in Brussels, you need to stop in for a meal at Fork. Their food is incredibly fresh and flavorful and their staff is quick to give you a 10 minute run down of what beer (or wine) would go best with your meal. They post their menu daily on Facebook (I told you it was fresh! ), so feel free to check it out in advance to see what delicious meals they're serving up for the day. Alright, now that you have the instructions for a perfectly balanced nutritional tour of Belgium, go out and taste it all. Do you have other favorites? Let me know! P.S. Heading to Belgium and want to know how to plan the perfect trip (including many of these stops)? 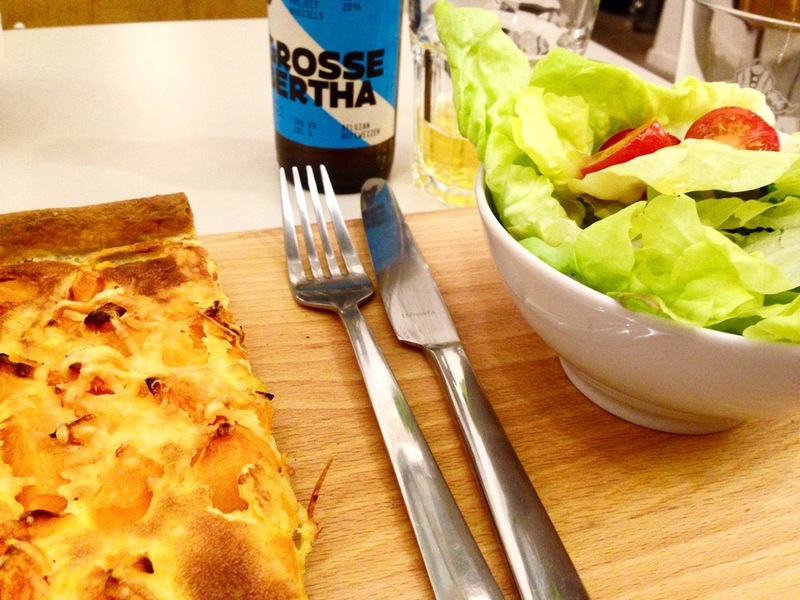 Download my one-day guide to Brussels.